League Two strugglers Yeovil Town have signed teenage Everton midfielder Liam Walsh, on a one-month loan. 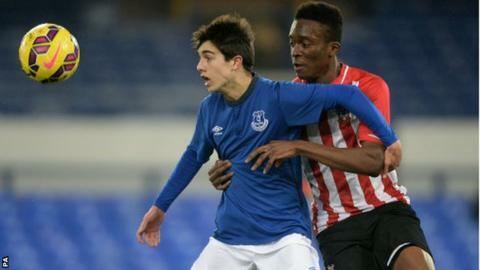 Walsh, now 18, was only five years old when he joined Everton and is qualified to play for both England and Italy. "There were a number of clubs interested in signing Liam, so it is nice to secure his signature," boss Darren Way told the Yeovil website. Meanwhile, Connor Roberts has extend his stay at Huish Park from Swansea City until the end of the season. Defender Roberts, 20, has been ever present in the starting XI this season, making 32 appearances so far.